Possibility to spend the night at Malé airport (MLE), if open 24 hours. Services available, places to rest (free resting zones), or look for the list of nearby hotels and vip lounges..
Malé airport is small and somewhat run down, so there are not many amenities. It is recommended to have headphones or earplugs. Where to rest: Mostly there are uncomfortable metal seats, but in the Departures area of the Domestic Terminal you can find better couches inside a waiting room. Another option is to use one of the seats located in the ferry terminal, across from the enclosure. 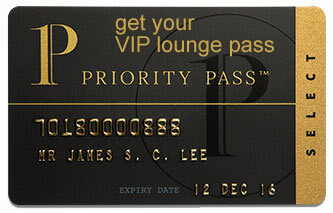 VIP lounges are also available, and some of them are open 24 hours a day. SEE VIP LOUNGES As for hotels, there are some options inside the airport's island. Baggage: You can leave your bags in the luggage storage office located in the Arrivals Hall. Eating and drinking: There are no options open during the night. Restrooms: Showers available in the Departures area. Other services available around the clock: Pharmacy, baby changing room. The Hulhule Island Hotel (Tel +960 333 0888) is located inside the airport island. Within the city of Malé you can find more options, among them: Crystal Beach Inn (Tel +960 335 0700), UI Hotels (Tel +960 335 0090), Maagiri Hotel (Tel +960 331 8484), Mookai Hotel (Tel +960 333 8811), Embudu Village (Tel +960 794 5171), Kam Hotel (Tel +960 332 0611), Real Inn Guesthouse (Tel +960 300 0822), Kaani Lodge (Tel +960 300 3626), Unima Grand (Tel +960 400 5005).